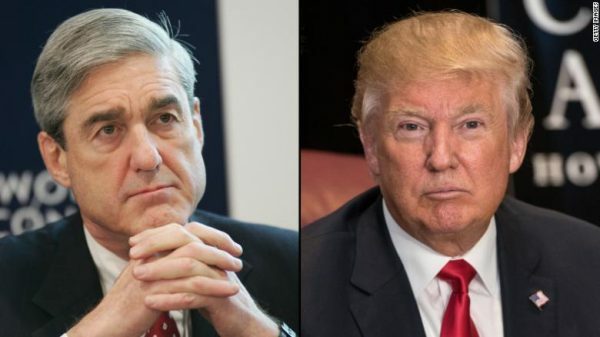 For nearly two years, the nation has been bitterly divided by special counsel Robert S. Mueller III’s ongoing investigation into the 2016 presidential election and its aftermath. To President Trump, the Mueller investigation has been the “single greatest witch hunt in American political history” — a “disgrace” and “scandal” that is nothing short of “corrupt,” “illegal” and “rigged.” To Trump’s opponents, on the other hand, it has been merely justice at work, a necessary effort to determine whether an unfit and undeserving candidate (or those who reported to him) colluded with another country to seize control of the most powerful job in the world. Now, finally, the work is done, the report is filed, and the U.S. attorney general has in his hands the most comprehensive study yet of the connections among Russia, the election and the Trump campaign. But this must not be the end of the story. It is vital that Congress and the public see the full report. The nation deserves to learn what Mueller has concluded not only about possible cooperation by the Trump campaign with Russia, but also about possible obstruction of justice by the president. That’s crucial whether or not Mueller has decided that Trump violated the law or committed actions that require further action by Congress. The report must not be buried. Of course, we already know much of what Mueller’s team believes happened and, assuming it is true, it tells a shocking story about the fragility of the American election system and the willingness of malign outside forces to subvert our democracy. Mueller’s team has already asserted in court documents that there was an intricate, sophisticated Russian effort to meddle in the 2016 election through deception and disinformation — including the dissemination of fake news and the hacking of emails — to help Trump win. Though “collusion” has not been proved in any of the documents that have as yet become public, the indictments filed so far point to dozens of contacts between the Trump campaign and various Russians and their associates, many of whom had connections to the government. For example, campaign advisor George Papadopoulos sought repeatedly to arrange a Trump-Putin meeting. Trump lawyer Michael Cohen struggled to broker a Trump Tower deal in Moscow while the campaign was underway. Campaign chairman Paul Manafort had repeated contacts during the campaign with a Russian associate with ties to that country’s intelligence services. Donald Trump Jr. held a meeting at which he was promised damaging information on Hillary Clinton from Russian lawyer Natalia Veselnitskaya. And the list goes on. This week, Trump insisted that he would like the report to be released. But the final decision rests with U.S. Atty. Gen. William Barr, who was less than completely reassuring during his Senate confirmation hearings when he was asked whether he would do so. Barr noted that the regulations governing Mueller’s appointment provided for the special counsel to send the attorney general a confidential report. But Barr also acknowledged that, under the same regulations, the attorney general makes a follow-up report to Congress that could be made public. Barr promised senators to “provide as much transparency as I can consistent with the law.” He repeated that promise in the letter he sent to top members of the House and Senate Judiciary committees Friday reporting that Mueller had concluded his investigation. Barr said he would consult with Mueller and Deputy Atty. Gen. Rod Rosenstein about what other information from the report can be released to Congress and the public. The unfortunate centerpoint of this opinion piece is that the writer assumes that the Mueller report is even handed, unbiased, and complete, showing both incriminating AND exculpatory evidence or opinion concerning each facet of the investigation. Nothing can be further from the truth. Mueller and his team were automatically biased just by their existence, and what they say the “Facts” are does not necessarily reflect the “Facts”. Instead it reflects what THEY say the “Facts” are, and ignores what they have chosen to not include or have chosen to downplay or treat as insignificant. People pick and choose what they want to say or see, not only in Politics, but in Religion, relationships, or when practicing law. To give a weight of legitimacy to the Mueller report is to ignore every indication of bias, malice, political motive or personal bias that have shadowed the entire process for the last 2 years. The Mueller probe was politically contrived, politically motivated, had zero basis for existing, and is an embarassment to those who actually want the Truth. It has no legitimacy. It is, in effect, another “Steele Dossier”, writ large, and with the heavy hand of Democrat bias and political maneuvering compounding its lack of integrity, neutrality, completeness, and viability as a legitimate compilation of information.